We at blingsparkle love all things bridal and when the bridal Asia 2015 happened last last week how could we not take a peek into it? We ofcourse did not visit the show physically but we got all details and a big fat peek into it thanks to social networking sites. The hashtag #bridalasia2015 was even trending in india and that is how this show happening in mumbai came to our notice. This uber pretty gota patti lehenga by Swati Ubroi is pure awesomeness. Love the peplum kind of style she gives to the choli. 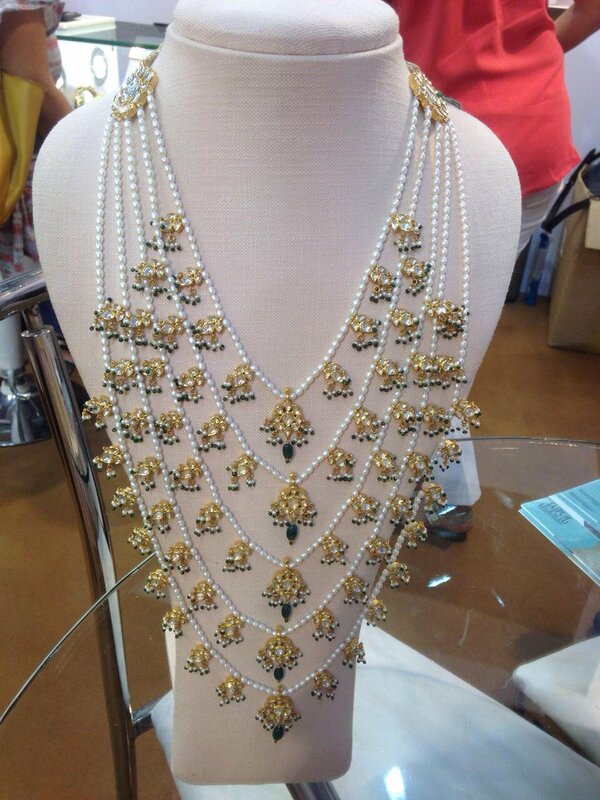 If white jam packed with colours like this who wouldn't wear it to wedding? I loved this black cilvana design creation. Love how the sheer asymmetrical hemline jacket falls over the black gown. Perfect for a wedding reception. For a brides sister or friend wants to keep it simple..These two gorgeous pieces are lovely. Especially love the white gold ensemble where an ombre dupatta adds colour. 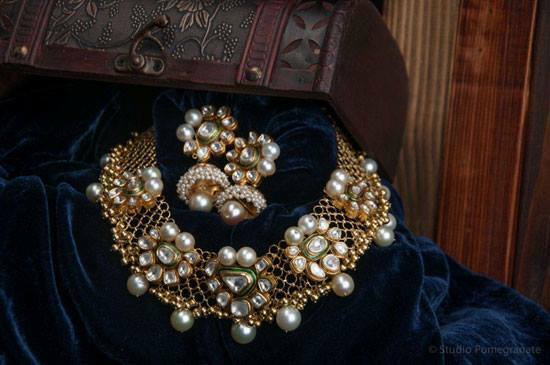 This necklace is for brides who want to layer over a plain high necked choli. 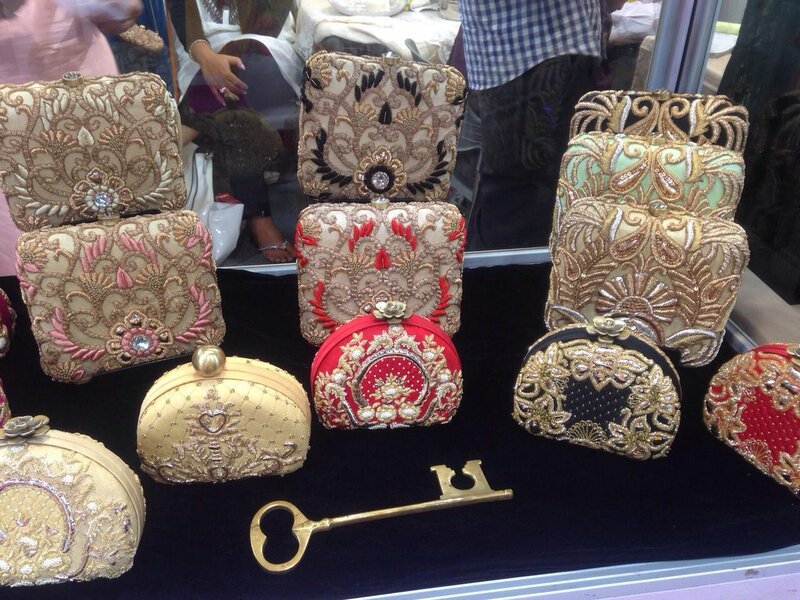 These lovetobag pastel clutches are amazing. Iam crushing those small semicurcular ones. Love this cape style lace choli on this lehenga. Perfect for people who want to make a statement yet go bling free at a wedding.